SKATEBOARDS! LOWEST PRICES POSSIBLE AT 4-SKATEBOARDS.COM! That's Right, 30% OFF! Our prices are already the lowest anywhere, but now you'll save 25% off all t-shirts, sweatshirts and shoes While Quantities Last! 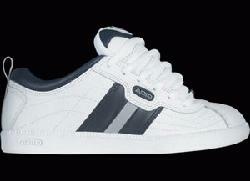 30% OFF ADIO SKATEBOARD SHOES! 30% OFF ALL HAWK SKATEBOARD SHOES! 30% OFF T-SHIRTS AND SWEATSHIRTS! 10% OFF SELECTED ** ELEMENT ** COMPLETE SKATEBOARDS! We have tons of stuff 4 skateboards at excellent prices! Click the "Store" button above or any item on the left to get started and save a ton of money! Choose from a variety of Element skateboard decks, trucks, wheels and bearings. FULLY ASSEMBLED AND READY TO RIDE! These are Element Skateboards' most popular decks! First Quality! Not Blems! Prices start at an unbelievably low $73.00! Choose from a variety of Zero skateboard decks, trucks, wheels and bearings. FULLY ASSEMBLED AND READY TO RIDE! These are Zero's most popular decks! First Quality! Not Blems! Prices start at an incredibly low $73.00! Originally sold for $57.95. You Save $18.95! Choose from a variety of Flip Skateboard decks, trucks, wheels and bearings. FULLY ASSEMBLED AND READY TO RIDE! These are Flip's most popular decks! First Quality! Not Blems! Choose from a variety of Blind skateboard decks, trucks, wheels and bearings. FULLY ASSEMBLED AND READY TO RIDE! These are Blind Skateboards' most popular decks! First Quality! Not Blems! Choose from a variety of decks, trucks, wheels and bearings. FULLY ASSEMBLED AND READY TO RIDE! These are Birdhouse's most popular decks! First Quality! Not Blems! We have Skateboard Decks from Zero, Element, Flip, Blind, Birdhouse and many more! Now you can add Griptape To The Already Lowest Priced Skateboard Decks Anywhere and Save! Installed Or Do-It-Yourself - Same Price! Retail $40.00 per pair NOW ONLY $25.00 $22.50 During Sale! Super Special Deal on ATM Pull Over Hoodies! This site was born to help skaters save major bucks on stuff 4 skateboards. We know that you serious skaters trash your boards fast. No worries! At 4-Skateboards.com you can replace the stuff you just broke FOR THE LOWEST PRICES ANYWHERE! Thanks for shopping at 4-Skateboards.com! Your best source for Element, Zero, Flip, Blind, Birdhouse, Black Label and many more!